When upgrading, it may be necessary to reactivate your license. Here's some insight into how our licenses are managed and when and why you would need to reactivate. This article assumes you are running version 4.0 or newer. Earlier versions may use an older licensing mechanism and require special attention. 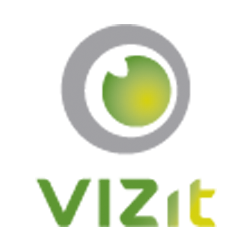 Please contact us at support@vizit.com for information on how to upgrade properly. Vizit's license keys are not associated with a particular version of our product. Instead, they are associated with your maintenance expiration date. You are eligible to upgrade to any build that was generated on or before the date your maintenance expires. Every year, as you renew your maintenance agreement, you can simply click the "Reactivate License" button on Vizit's "Manage License" page in Central Administration. This will ensure that your maintenance expiration date in your Farm is current. Vizit will continue to operate regardless of whether or not you do this; however, if you attempt to upgrade to a version of Vizit that was built after the maintenance date noted on the "Manage License" page, Vizit will stop working until you are current with your maintenance and reactivate your license on your Farm.